Earlier on Tuesday, the CBI had searched several premises linked to the case including the Chennai house where Karti Chidambaram and his father live. Karti Chidambaram is out of the country; he left for the United Kingdom on Thursday. Days after the CBI raided Karti Chidambaram being probed for criminal misconduct related to approval of investment deals, the Enforcement Directorate, or the ED, has also moved in. On Friday, the ED, which investigates financial crimes, registered a case against the son of former finance minister P Chidambaram under the money laundering law. 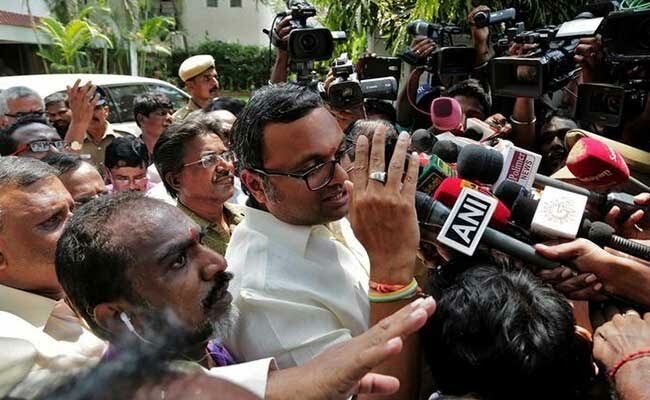 Karti Chidambaram is out of the country; he left for the United Kingdom on Thursday on a scheduled visit. When he is back, ED officials told NDTV that they would summon him for questioning. 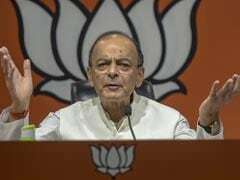 The fresh ED move is based on a case registered by the CBI earlier this week that alleges the finance minister's son received kickbacks for exercising his influence with the Foreign Investment Promotion Board (FIPB) in 2007-08. He had allegedly got approval from the board to a "fallacious" proposal by INX Media, the company that was then run by Peter Mukherjea and his wife Indrani Mukherjea. Both are in jail on charges of killing their daughter. In its case, the ED will investigate the source of the cash allegedly paid by INX Media to companies linked to Karti Chidambaram. An official said FIPB approvals in five cases during P Chidambaram's tenure as finance minister were also under the scanner of ED. Karti Chidambaram has said the allegations bogus and politically motivated. "I have done no business with INX, never have I interjected in the ministry... This is all bogus," he said. His father, who was the Finance Minister in the Manmohan Singh government, said neither he nor the officials of the Foreign Investment Promotion Board were suspected of lawbreaking at the time. Preliminary investigation suggests that 3.3 crore was to be paid by the company to Chess Management private limited, a firm in which Karti Chidambaram is a promoter and director. Chess Management had helped with a proposal to the government to let the company receive 305 crore in foreign investment, against the 4.62 crore limit in place. But instead of Chess Management, an invoice of 10 lakh was raised in the name of Advantage Strategic private limited, a company that the ED alleges is controlled by Karti Chidambaram. Karti Chidambaram is also under investigation for alleged irregularities relating to FIPB approval in the controversial Aircel Maxis deal. In this one, an ED official claimed, he hadn't showed up even once despite summons. Apart from Advantage Strategic Private limited, ED officials say they are also trying to get financial details about Ausbridge Holdings, a Singapore-registered subsidiary of Advantage Strategic Private Limited, which was allegedly also used to route funds.